Most, if not all of us have been affected by quite significant changes to our subjects’ content as a result of the recent introduction of new syllabi and specifications. If like me, you have been shocked / stunned / amazed / terrified (*delete as appropriate) by the amount of knowledge and terms that students have to negotiate then using key knowledge placements could offer some form of respite. The premise simple. Collate all of the key knowledge, terms, dates, functions, symbols etc. that are universally relevant to a topic, unit or subject and produce class sets of placements to be used on every desk. 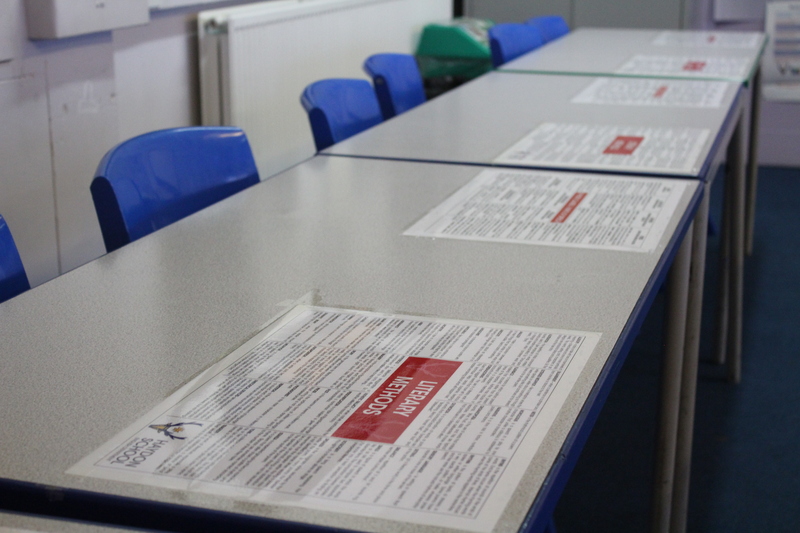 Whilst no different in theory to having wall displays of key terms, the placemats offer a more immediate solution to students trying to recall key information and unlike wall displays, are much easy to switch around depending on the class or topic that you are teaching. In English, these have been designed in order to include all the key terms used in both language and literature across the full seven years of school and so can be stuck on desks as a permanent resource. Having the full range as a constant visual reminder to students can help to reinforce the idea that learning is a constant process of adding new knowledge and that topics are rarely isolated and discrete units of work but instead often have intrinsic links between them. When you are looking to stretch learners or as means of generating discussion and questioning experience, the placemats can work as an excellent stimulus. Equally they negate the need to have to rely too heavily on a child being able to instantly recall from an ever increasing word bank of terms.